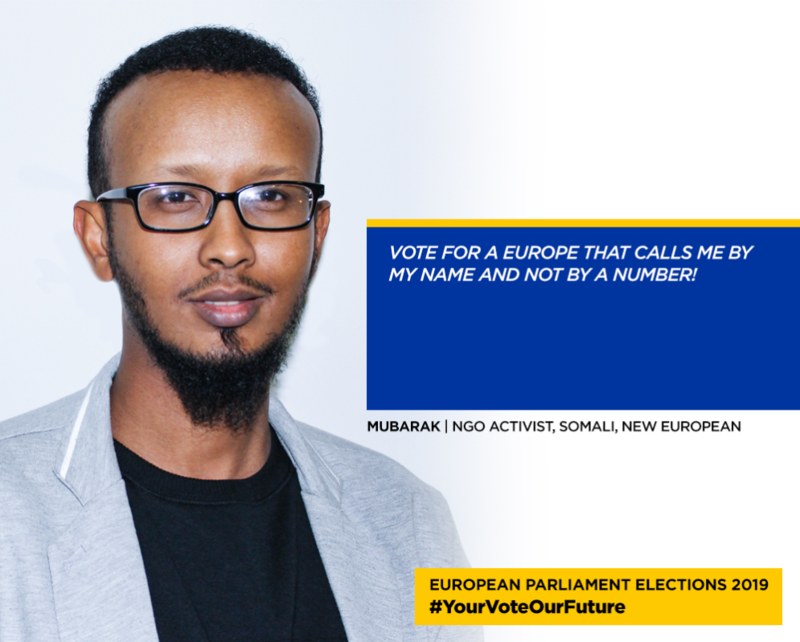 Every five years, citizens of the 28 countries (or 27 without the UK) in the European Union get the chance to elect representatives to the European Parliament. There's been a concerted push this year to combat voter apathy, with campaigns like 'thistimeimvoting', since in 2014, turnout was less than 43 percent. There have been some big changes since the last election that could invigorate next month’s vote: The UK has voted to leave the bloc, populist anti-immigration governments have risen to power in Hungary, Italy and Poland, and in Germany, the mainstream is facing a major challenge from the far right. The populist and right wing parties aren’t likely to win a majority in the next assembly. Katharina Bamberg, a policy analyst on migration at the European Policy Center in Brussels, says the center-right European People's Party is expected to remain the largest group. But many people are suggesting that nationalist parties could get a third of the seats, which would give them much greater influence over legislation and policy. The European Council on Refugees and Exiles (ECRE), a rights group that represents more than 100 European NGOs, says far-right populists in Europe have managed to dominate the political debate, despite being a minority. They have created a political crisis, ECRE says, which has led to migrants "drowning in our waters [and] being pushed back to torture and exploitation, detained at our borders …or deported …to war and persecution." Surveys show that most Europeans are willing to accept migrants and refugees and respect their rights, according to ECRE. It says it's crucial that these Europeans turn out to vote if the populist parties "and their anti-EU, anti-democratic and anti-civil rights agendas carried forward and legitimized by racist slogans demonizing migrants, asylum seekers and refugees" are to be defeated in May. The EPP, which includes the German CDU/CSU, the Republicans of France, and Forza Italia of Italy, has 219 seats in the Parliament. If it remains the most powerful group after the election, it will continue to steer policy on migration and refugees. Bamberg says that means a focus on border management and relatively restrictive immigration policies. The EPP’s policy on migration – which is under the category of justice and security – refers to "enormous challenges to our values and societies" posed by "massive flows of people to Europe." This migratory pressure needs to be tackled with "robust border management." The EPP group was behind the latest overhaul of the border agency Frontex which will see an extra 10,000 border and coast guards for Europe by 2027. The extra border controls are intended to stop irregular migrants, as distinct from "legitimate asylum seekers" and "people in genuine need of protection," the EPP says. However, asylum and migration policy in the EU could shift significantly after the election. Bamberg says "most people in Brussels" expect that the recent growth in support for right-wing and populist parties in national elections in Europe will be reflected in the European Parliament ballot. What would more votes for candidates from the nationalist and populist parties mean for European asylum and migration policy? Bamberg says it would raise questions about the reform of common rules for asylum in EU countries. "We're not sure how these (asylum policy) files would actually survive, or whether they would be taken forward." 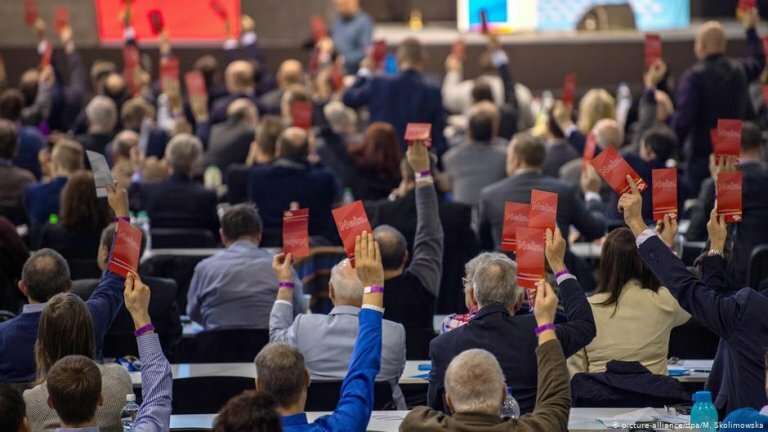 But as Germany's biggest opposition party, the far-right Alternative for Germany (AfD) talk about "radical change" and a "paradigm shift", there may be wider consequences. This week, several of the parties agreed to form a new Parliamentary group – the European Alliance for Peoples and Nations. The alliance includes the League Party from Italy, the AfD, the Finns Party, the Danish People’s Party and the Freedom Party of Austria. It still needs more recruits because under parliament rules, a group needs at least 25 MPs from a minimum of seven EU countries. If the alliance succeeds in attracting enough support to form a group, it will focus on three objectives, according to the DPP's Anders Vistisen: Giving less power to Brussels; Stopping migrants at the EU's external borders and implementing an "Australian model" of migration; and protecting Europe's cultural identity. Jörg Meuthen of the AfD, which won seven seats at the previous EP election, wants "to build a fortress in Europe." According to the party's European Election manifesto, current EU asylum and immigration policy poses an existential threat to European civilization, and allowing further immigration from other continents will lead to the marginalization of Europeans. national agreements with third countries willing to resettle rejected migrants who are unable to be returned to their countries of origin, according to the "Australian model"
"Our aim is to win and to change Europe," Italy's Matteo Salvini declared this week. Meuthen says the Italian Deputy Prime Minister and his nationalist League party have shown how it can be done: "Push illegal immigrants back to the borders and return them to where they came from."